The 'James Bond' 1964 Aston Martin DB5, is viewed by the media, in London. AP Photo/Alastair Grant. The unique car, which boasts an ejector seat, machine guns, rotating license plates and other spy gear, was initially expected to go for more than 3.5 million pounds ($5.5 million). 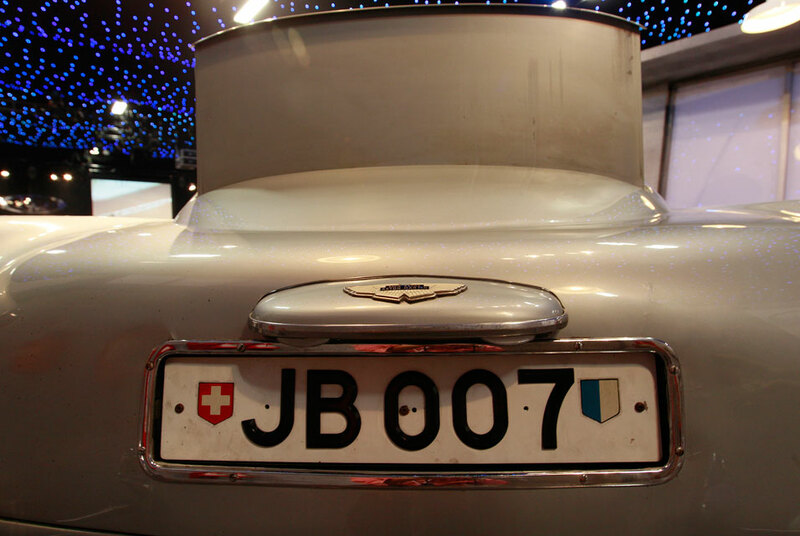 "This is the only genuine, 007 James Bond car," said Mick Walsh, Editor-in-Chief of Classic and Sports Car Magazine. It was bought by Harry Yeaggy, an American classic cars collector who has a small private museum in Ohio. "We'd ride it around the streets of London tonight," he told the BBC. He said the fact the iconic Aston Martin has never been auctioned before meant it had tremendous appeal to collectors. "It's never been on the market before, and with the classic car scene it's very important to see something new," he said. He said it was likely the car would end up on public display, perhaps as the centerpiece of an upscale office complex in a city like Los Angeles or Moscow. The silver Aston Martin DB5 coupe auctioned Wednesday was used by Connery to elude various villains in both "Goldfinger" and "Thunderball"  generally regarded as early classics in Hollywood's longest running and most successful film franchise. The car auctioned by RM Auctions Automobiles of London is one of two Aston Martins factory-modified for use in the early Bond films, and it is the only surviving example. The car, which contains an early version of the modern-day navigation system, is described as being in excellent condition. The other 007-modified Aston Martin was reported stolen in 1997 and has never been recovered. Many believe it has been destroyed. The buyer also gets extra perks: A signed photograph of Connery standing with the Aston Martin on location in Switzerland during the filming of "Goldfinger," and several other bits of film memorabilia. Benjamin Timmins of Associated Press contributed to this report.